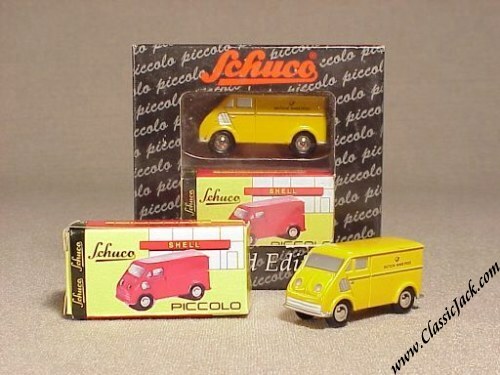 Schuco Piccolo DKW Schnellaster, Deutsche Bundespost. 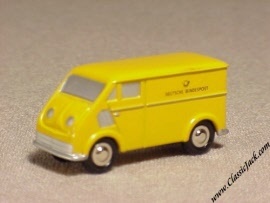 Issued in July 1998, this is an elaboration of the normal van and comes in the livery of a 1950's German Postal Services Van. It is a limited Edition of 3,000 pcs. all of which were reserved for the specialist toy trade. Please note that we used two models for the top picture. The listed price is for one model only.